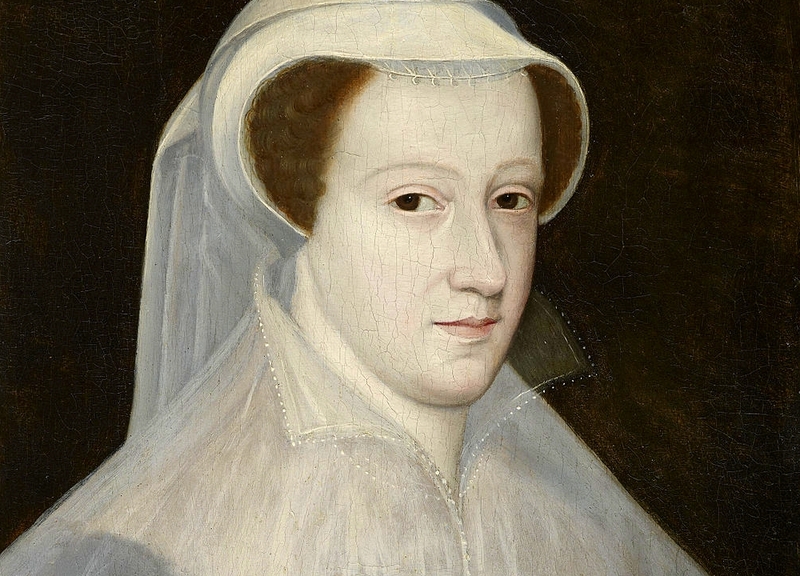 Scotland was very different to France, and Mary found her native country rather disappointing. She had been away most of her life, and had been brought up in the wealth and splendour in France. Scotland lacked France's wealth and glory, and it was also much colder. The country was also Protestant. Mary tried her best to govern Scotland well, and initially was successful. 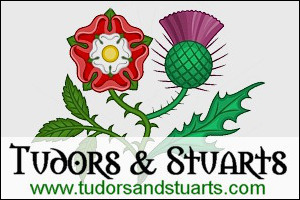 She was tolerant of Protestants, listened to the advise given to her by her various ministers, and kept at peace with her influential Protestant half-brother, James Stewart, later Earl of Moray, illegitimate son of her father, James V.
Now that Mary was a widow, people were beginning to ask who she would marry. 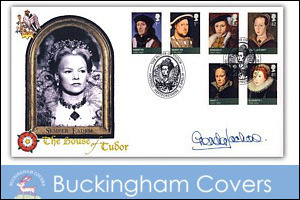 As with Elizabeth, her marriage was of immense political importance. It concerned the English government greatly. 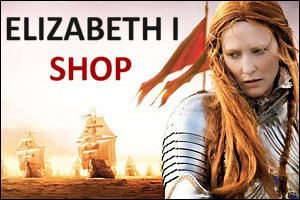 Elizabeth feared that she would marry a very powerful prince who could help her raise an army to invade England. Elizabeth wanted Mary to marry a man with very little power or influence, so that her Scottish cousin would be less of a threat. Perhaps with this in mind, Elizabeth offered her Robert Dudley, Earl of Leicester. This was laughed at as he was widely thought to be Elizabeth's lover and a wife-murderer. Mary perceived it as an insult, although it is unlikely that Elizabeth meant it to be. Elizabeth believed that a marriage between them would guarantee the peace of both realms. She believed that Dudley would never conspire against her because of his affection for her, that he would fulfil his ambitions, and Mary would have a husband, and eventually with Elizabeth's blessing, be recognized as the heir to her throne. This all made sense to Elizabeth, but the other people involved in her plan had different ideas. 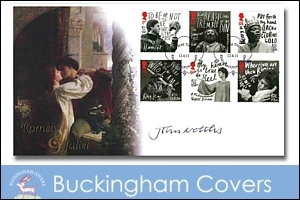 Dudley was alarmed at the thought of being cast off to Scotland, and did all that he could to prevent the match, even reputedly writing to Mary denying his interest in her hand. Mary at least pretended to be sincere, but did not relish taking a man that her cousin did not find good enough to make her own husband. 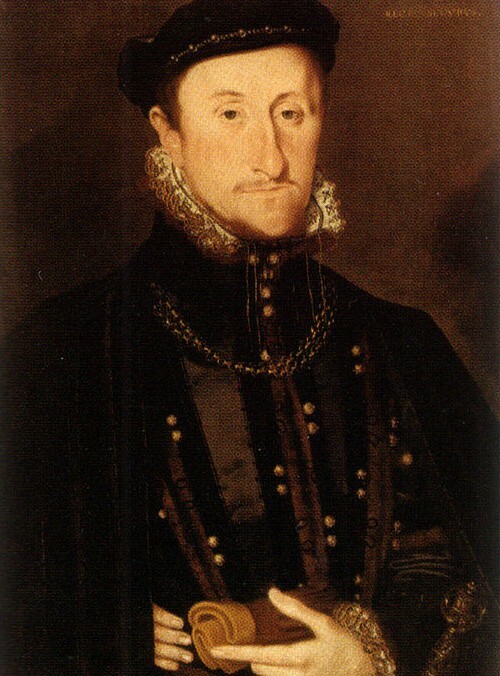 In an attempt to make Dudley more suitable for a Queen, Elizabeth raised him to the nobility in 1564, making him Earl of Leicester and Baron of Denbigh. 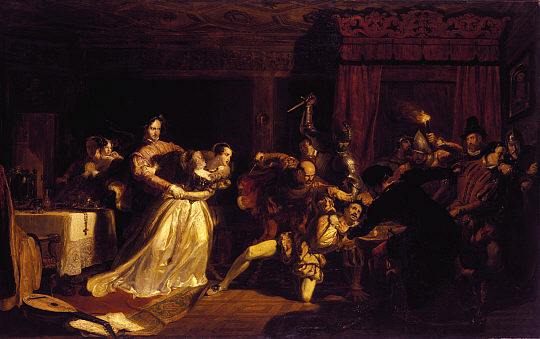 Although Elizabeth appeared to be sincere in the negotiations, many doubted that she really meant it, as she and Dudley were so close that she could not bear for him to even leave the court. Whatever Elizabeth's motives may have been, the offer was made with all sincerity. Had Mary accepted the offer, and Elizabeth agreed to it, Dudley would have found resistance virtually impossible, but to his relief, the negotiations fell through. Lord Henry Darnley, an English Catholic cousin to Mary who also had a claim to the English crown, was permitted by Elizabeth to travel with his father to Scotland, and Mary, attracted by his person and position, decided to marry him. Elizabeth was outraged. 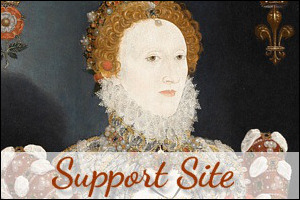 With their joint claim to her throne, Elizabeth feared that they would have substantial support for trying to depose her. 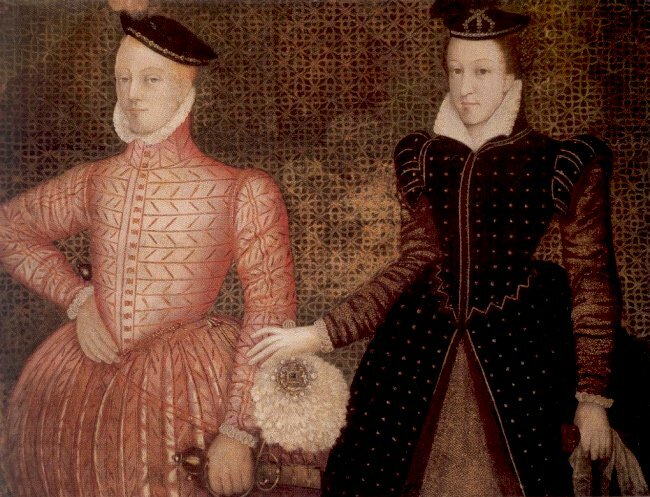 It also emerged that Darnley's mother, Lady Lennox, had been involved in secret negotiations to have Mary and Darnley placed upon the English throne. There was very little Elizabeth could do, however, as Mary and Darnley were legally married, and she had to accept him as Prince consort. Elizabeth's consolation was the fact that matters could have been much worse had Mary married a powerful European prince, and Darnley in fact posed very little threat to her safety. It was Mary's life that Darnley made more miserable. Their marriage was certainly not a happy one. Perhaps the only benefit of it, was the birth of Mary's only son, James, in 1564. Darnley was possessive, jealous, and a drunkard. He did not aid in the government of the country at all, or make Mary's political life easier - he only made it worse. Mary began to rely heavily on her Italian Private Secretary, David Rizzio, who she liked and admired, and Darnley grew jealous and angry. With a group of friends he planned to murder him. One March night, 1566, while Rizzio, who was a talented musician, was playing for Mary and her ladies, Darnley and his men forced their way into the room. Rizzio clung to Mary, but was dragged away, and murdered outside the door. Mary, understandably, never forgave Darnley for this.